Twitter says it's willing to bring Peter Molydeux back from the dead but only if the man responsible for him makes a few changes. It was a sad day for the internet when Peter Molydeux was silenced earlier this month. Molydeux, for those who missed the original report, was an over-the-top parody of Peter Molyneux and his sometimes a-little-too-grandiose-for-his-own-good artistic vision. But the Twitter account was shut down last week because at least a few people were having trouble grasping the fact that it wasn't actually Peter Molyneux talking about some of the crazy stuff that passes through his brain. Twitter confirmed that this is in fact that problem with the account yesterday, sending a message to the creator saying it had received a "valid report that your account, @petermolydeux, is engaged in non-parody impersonation." Fortunately, the suspension isn't necessarily permanent at this point. "If you would like an opportunity to edit your account so that it is not in violation of our impersonation policy, please reply to this email," the message said. "We will restore your account, and you should promptly make any necessary changes within 48 hours of receipt of this email. Please understand that your account is subject to permanent suspension if it is found to further violate our Rules regarding impersonation." But that means changing the account name and avatar, and while the avatar isn't a big deal, the Molydeux man isn't too thrilled about the idea of changing the name, which you have to admit is a pretty good one. 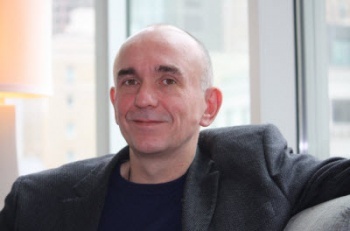 While he decides how to handle the situation, he said that people can continue to express their support on Twitter with the #freepetermolyneux hashtag. He's also set up a new alternate account, @dougiedeux. "Currently this is just a temp account that will mainly update on the molydeux situation," he told Kotaku. "But the fun will start to kick in soon with audio diaries, videos, images and updates on Dougie D's first independent videogame currently titled 'Project Mother'."